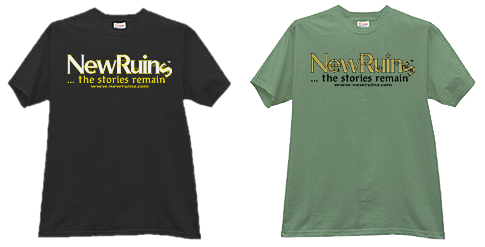 Running any website isn’t free and the NewRuins project is time consuming. Your purchase will be very much appreciated and is guaranteed to be to your liking or you may return for a full refund (unused and within 7 day of receipt please). Plus $2.00 USPS Priority Shipping for delivery anywhere in the continental US. Sorry, we cannot currently ship outside of this area! There’s another way to help us out. Use one of our links to Amazon (or any of our other affiliate links) to buy something you want anyway. No pain and we gain … a little. And our reading suggestions are honest recommendations, definitely not random!